"You must be the change you wish to see in the world..."
BSA Troop 91 is one of the largest Boy Scout troops in Mercer County, NJ, with 65 registered scouts as of September, 2018. We have been chartered since 1975 and the proud home to 81 Eagle Scouts and growing! Our troop is chartered at United Presbyterian Church in Yardville, NJ and meets every Friday night from 7:00 to 8:30. We meet at various locations in Hamilton Square, depending on the agenda. We camp monthly, generally in locations that are in close proximity to Mercer County, but usually not more than two hours away. Troop 91 enjoys hiking, backpacking and canoeing, and generally strives to schedule a historic themed trip annually, as well as one water related, biking or hiking excursion and our annual cabin camping trip. In 2016, we sent our first contingent to the Philmont High Adventure Scout Reservation in New Mexico, and in 2018 we sent a contingent to the outback coutry of Utah. Troop 91 focuses on community service and tries to achieve at least 1,000 Hours of community service annually. Through many events, including an annual community service weekend at Hamilton's Veterans Park, laying flags for our Veterans or participating in food drives for our local Churches, the Troop generally meets or exceeds this goal. 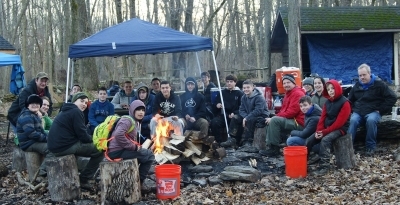 The Troop has planned some pretty exciting camping trips for the upcoming year, including competition camping, canoeing down the Wading River, hiking to Bowman's Tower, backpacking along the Mullica River, team building excursions, whitewater rafting, and a leadership retreat. Over the next cycle, the Troop will camp in four different states including NJ, PA, DE and MD. 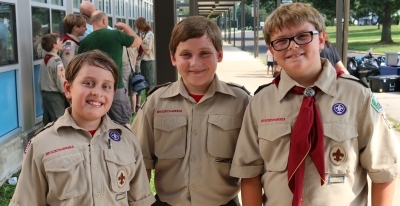 The Troop plans at least two trips annually for our older scouts ages 14 and over that will test their skills and challenge them with new adventures. For our younger scouts, we will work with them as a group building up their skills and leadership as they progress through the ranks of scouting. In Troop 91, Nobody Wins Until We All Do. 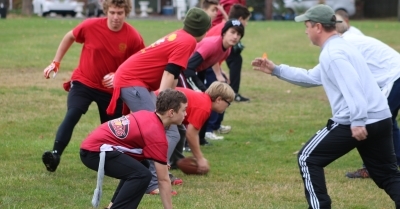 In our Troop, the scouts direct, lead and run the program and decide upon the events that make up its calendar. The Troop follows the Patrol Method of scouting and is made up of eight patrols in addition to a leadership patrol. 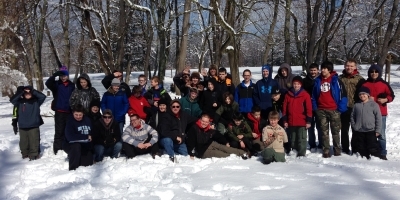 If you would like to visit Troop 91, please contact the Scoutmaster through the "Contact Us" button on this website.